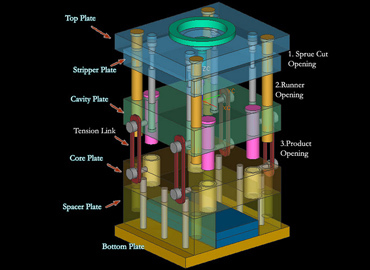 NIEDS offers the best Mould Design Course In Delhi. Our 80 Hours Mould Design Course will start from the basics and gradually teach you the advanced concepts. The pace of the course is set in such a way that you would not even notice the higher steps you are climbing day-by-day. Our highly experienced mentors will make sure that you don’t get confused and stay focused on the key concepts. We will first teach you the theory then move on to the practical on advanced CAD software. What Makes Our Mould Designing Institute Different? We have a proven record of launching the careers of many students with our professional courses. If you also want to be one of these achievers, contact us to discuss your requirements.
. Mould Components And Terminology.
. Mould Cavities And Cores.
. Creating 3D Models Of Moulds Components. 2. Types Of Materials In Mould Design.
. Mould Component Material Selection Criteria.
. Introduction To Polymer Materials.
. Thermal Aspects Of Different Polymers. 3. Basic Concepts Of Mould Design.
. Two Plate And MUlti-Plate Mould.
. Moulding Defects And Remedies.
. Introduction To Feeding System.
. Design Feature Of Different Types Of Runners.
. Design Feature Of Different Types Of Gates. 6. Concept Of Parting Surface.
. Analyzing And Adding Draft To A Model.
. Scale The Part To Allow The Shrinkage.
. Manual Selection Of Parting Lines.
. Flat And Non-Flat Parting System. 7. Cooling System For Moulds.
. Mould Plate And Mould Component Cooling.
. Water Connections And Seals. 8. Side Core And Side Cavity.
. Design Features Of Side Cores And Cavities.
. Types Of Side Cores And Cavities.
. Design Standards In Use For Mould Parts. 9. Making The Drawing For Mould. 10. Practicals On Advance CAD Software.
. 3D Modeling Of Mould Components.
. Core / Cavity Extraction.
. Assembly Of Various Types Of Moulds.